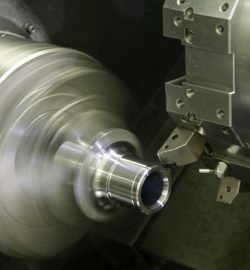 M&R Engineering specializes in high precision machining of a wide range of metals and plastics from short run production on high precision CNC Lathe, CNC Swiss, and CNC Mill machines to high volume Davenport Screw machining. No matter how large or demanding the project, the M&R Engineering team works diligently to deliver great quality metal and plastic parts on time to meet your production needs. M&R has over 40 years of precision machining experience in plastics and metal machining, and we have seen it all. We are proud to share our expertise with our customers to solve the most difficult technical challenges. We also help our customers to finalize their design with the most cost-effective manufacturability in mind. 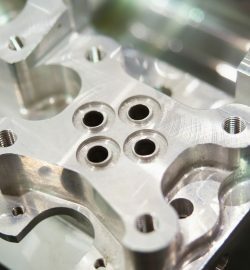 We understand the demands of a fast-paced manufacturing environment and the need to have great quality high precision machined parts right away. When a customer has a sudden need for parts, whether to resolve a problem or execute an opportunity, we work around the clock to have parts when you need them. 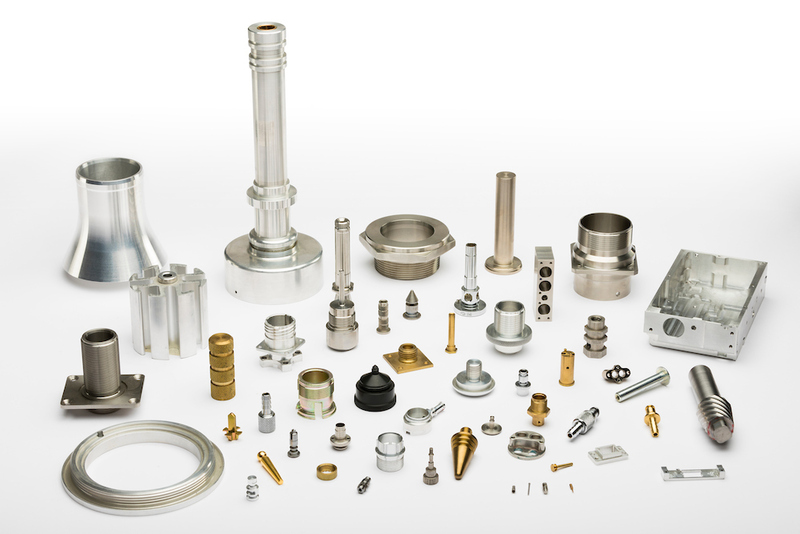 We package our high precision machined parts to achieve the best product preservation possible. We can barcode, label, kit, assemble, and even drop ship your parts to free up your time to focus on more important things for your business. We believe personal relationships are still an important ingredient in conducting business. You can always speak with a live person when you call our office to get a quote, get the status of your order, or ask a technical question. We are here to support our customers. We strive to be your supply chain partner through inventory programs so you can utilize your resources to grow your business. We work with our customers to develop specialized inventory programs including just in time machining, vendor managed inventory, dock-to-stock, consignment inventory, and long-term supply agreements. 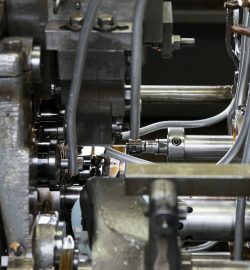 We work with a network of well-qualified suppliers for finishing operations, including commercial, AS9100, and NADCAP-approved vendors as requested by the customer. We provide heat treat, Passivation, Anodize, Cad, Electroless Nickel, Silver, Gold plating and many others. Materials Over 40 years of experience in numerous metals and plastics. 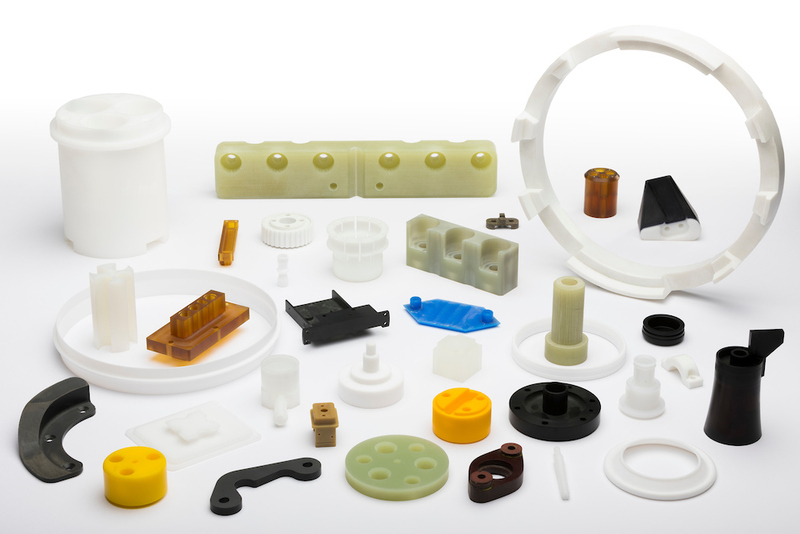 Our custom plastic CNC turned parts and milling services allow us to manufacture custom, top-of-the-line plastic bushings, connectors and much more. We are experts at using our variety of metal materials to create custom screw machine parts and subassemblies. 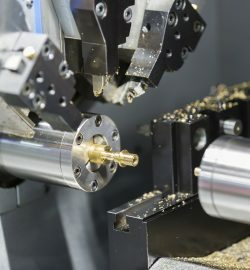 We are a one-stop shop for your high precision machining needs. We are committed to delivering high quality high precision CNC machined parts to our customers. 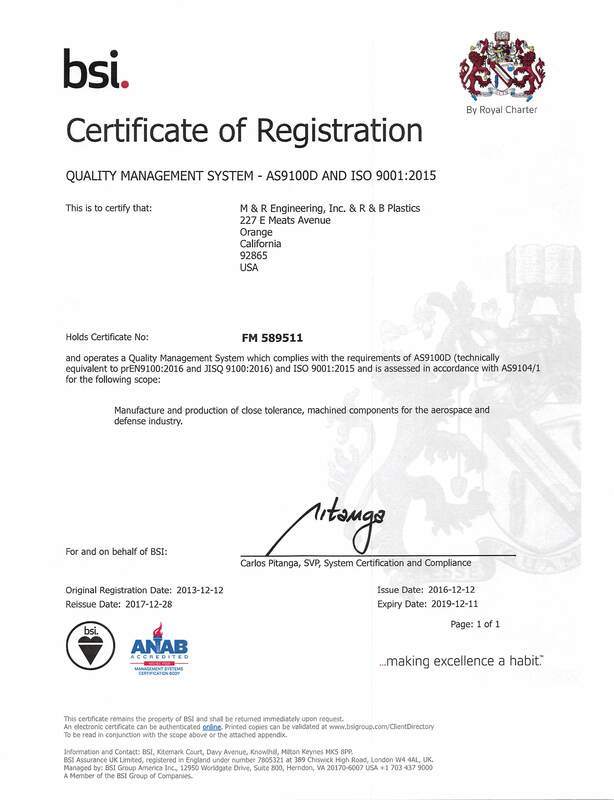 At M&R Engineering, we continuously invest in the latest inspection equipment as well as employee training and development.